Affordable natural light photography for weddings, families, and events—taking pictures, changing the world. With a heart for changing the world, we were looking for a way to use our talents of photography to give back—that's why we give 10% of every session fee back to charity. With over 8 years of experience, we will bring both knowledge and creativity to every session. We strive to make every aspect of your wedding day or portrait session easier—creating an experience that is as fun and stress-free as possible. We consider it a privilege to work with couples on one of the most important days of their lives. That's why we work hard to make sure that we not only bring stunning images, but also help keep your day as smooth and stress-free as possible! Your family portraits are a chance to capture the heart of your family. So let's go to the zoo, play at your local park or spend the afternoon doing some crafts—creating something truly unique that you will cherish for years to come. Your professional headshot is often the first chance you have to make a good impression. So whether you are looking for a full portfolio or just something new for your LinkedIn profile. We'll help you get an image that makes you look your best. 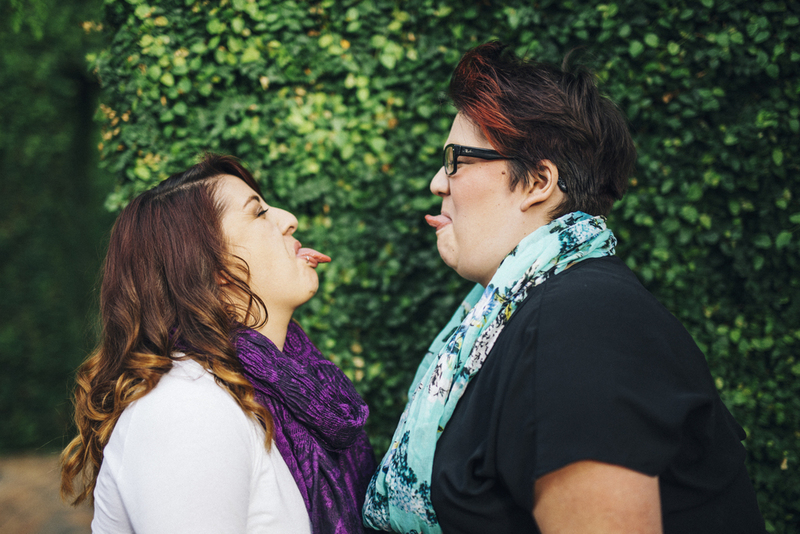 We are Brittany Laeger & Christianna Dengerud, and we are sisters, artists and dreamers—it's a joy to record those moments with beautiful images you will want to proudly display. And when we are not out creating beautiful photos, you can find us pouring over the latest photography magazines, exploring the city and scouring Pinterest for new ideas to make your photographs special. We are passionate about living lives focused on generosity and giving back. Following the models of companies like Sevenly and Toms, we wanted to give people a way to affect change. Since September 2013, we have been donating 10% of all session fees and portrait orders to a charity each month! We are so lucky to have amazing clients, couples and families who share their lives with us. Beautiful Era Photography did both our engagement pictures and our wedding pictures, and WOW did they do an amazing job!! We could not have asked for better pictures. They captured every detail in such a perfect way, and worked incredibly hard to make sure we got exactly what we wanted. I would hands down recommend them for any type of pictures, I know we will be using them for years to come. THANK YOU, Beautiful Era Photography, for giving us such AMAZING pictures to look back on! Beautiful Era Photography & Design does an amazing job capturing such precious moments for our family. She is so quick and flexible and is very relational. I appreciate her affordable price and quality of service. So far we have done a maternity shoot and then a newborn/family shoot. You know you have found an excellent photographer when you go through the pictures and want ALL of them printed. Highly recommended! When I asked Brittany of Beautiful Era Photography to capture some professional headshots of me, I already knew and trusted her photography. Over the past several years I've witnessed the quality work she has done for countless weddings, engagement photos, and life events. Her personality immediately puts you at ease and she is highly experienced and creative. Brittany knows how to get stunning results and operates from integrity and a genuine love for people and the visual arts. I can't recommend her strongly enough!